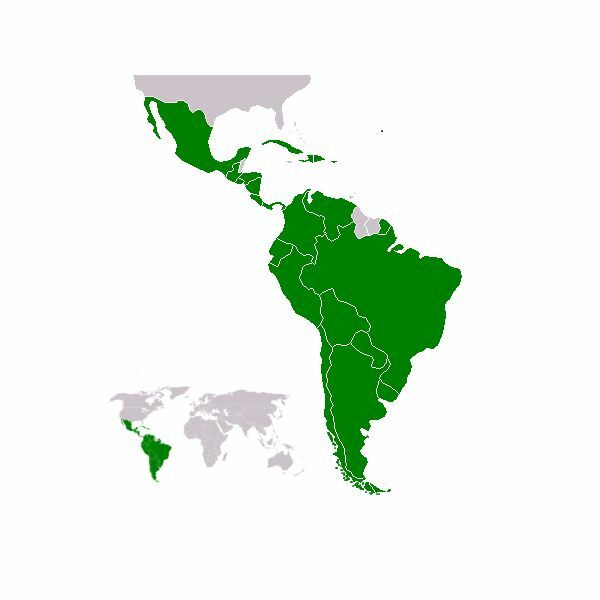 Latin America is often thought of as being comprised of Spanish-speaking countries; however, Portuguese and French, two of the other "Latin" or Romance languages are also spoken. There is much to discuss about the many diverse countries of Latin America — people, art, history, language and more. Lesson plans for teaching Latin America will bring students an understanding of the valuable contributions these countries made and are still making to the world. They will learn about ancient civilizations, tumultuous history and vibrant art. In addition, they will learn about the importance of protecting the natural resources of this area of the Americas. The following articles provide the classroom teacher with lesson plans and resources for creating a well-rounded unit on Latin America. The culture of Latin America is as diverse as its people. Influences from colonial times mixed with Native culture provide a colorful and dynamic picture of this part of the world. In addition, the history of the region is as volatile as its cousin to the north. Wars, slavery, persecution of indigenous people and the annihilation of ancient civilizations are just a taste of the drama students will find as they delve into the past. The following articles touch upon culture and history in general. Fiesta! In Latin American countries, there are many reasons for gathering together in celebration. Many of the holidays celebrated in Latin America are a mix of Native religious festivals and the observances of colonists. For instance, The Day of the Dead, celebrated mainly in Mexico, is a combination of the Christian observance of All Souls Day and Native celebration of the ancestors. Other festivals and feast days attract people from around the world because of their pageantry, color and traditions. The following resources are perfect to assign to your students to learn more about this subject, or great articles for them to use as study materials. The geography of Latin America includes everything from rainforests, volcanoes, huge mountain chains, wild rivers to miles of waterfalls. Within Central and South America are some of the world's most fascinating landforms, such as Volcano Orizaba in Mexico. Lessons in geography may take students on a virtual trip down the Amazon, learning about the unique flora and fauna found along the way. Or, they may research the tenacious balance that exists within the rainforest. The following articles have a variety of activities and resources. The art of Latin America is known for the vibrancy of colors, intricacy of shapes and variety of forms. From the works of the Inca and Mayans to modern artists such as Diego Rivera; from masks and sculpture to architecture and murals, the various art forms used in Latin America express the dreams, the beliefs and the hopes of the artists. From the Mexican Revolution to the Cuban Missile Crisis, from the early explorers to Castro, the historical events of the countries in Central and South America shaped the worldview held today in these countries. As European explorers conquered more of the wilderness, Central and South America began to take shape into the countries we know today. The influences of the Spanish, French and Portuguese are still part of the fabric of these countries. In addition, the Africans brought to the Americas as slaves; the Native Peoples and other immigrants who travelled across the sea to begin new lives contributed to the texture of the history of these vast and varied countries. The countries of Central and South America that make up Latin America are an eclectic mix of Native Peoples and the various people of the European countries that colonized the rainforests, island and jungles, as well as Africans and others who came either by force or of their own volition as immigrants to a new land. Studies of Latin America can cover a vast array of subject matter. This guide is a great resource of lessons and activities on Latin America: the people, culture and history.